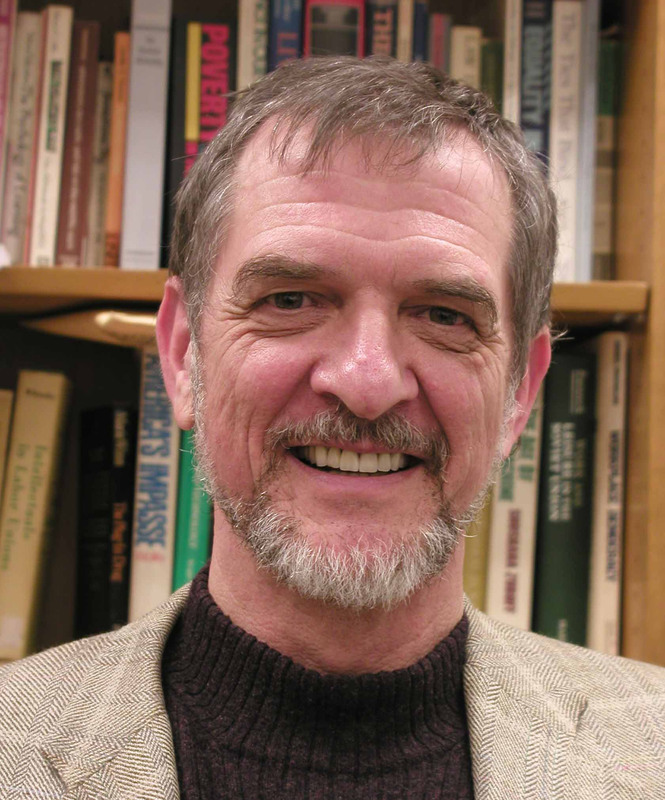 Dale Dannefer’s scholarly work is concerned with the links between social dynamics and life course processes. A pioneer in developing cumulative advantage theory as an explanatory life-course framework, he has published more than 90 articles, monographs and chapters in sociology, psychology, human development, education and gerontology. Dannefer’s current scholarship focuses on the effects of globalization on life course patterns and the problem of age segregation. He has just completed a large-scale empirical study of “culture change” in long-term care settings. He teaches courses on life course and human development, the sociology of work and education, and social theory. Dannefer has been a research fellow in the Social Control program at Yale University, at the Andrus Gerontology Center at the University of Southern California, and at the Max Planck Institute for Human Development and Education in Berlin. I have long been interested in how people make sense of their lives. My doctoral dissertation, which focused on the lives of vintage automobile enthusiasts, taught me that even such “agentic” activity, expressing a “freely chosen” interest, is governed by social forces ranging from family composition to corporate advertising. I learned that these diverse forces interact in complex ways that prevailing theories could not apprehend, but that could be fruitfully illuminated by constructivism and critical social theory. As I began to extend this research by focusing on the biographical development of interests and meaning in more typical populations, I was inevitably brought into contact with the related fields of human development, aging and life course studies. Here, I found research practices and theoretical assumptions that relied on paradigms drawn from biology, and that are ill-suited to the complex, meaning-laden and historically emergent character of human experience and human development. Such theories contained no means of conceptualizing the powerful and pervasive, but often invisible, force of social dynamics as they influence development and aging. I took this mismatch of theory and reality up as a problem, and focused on the critical analysis and reformulation of developmental, life-course and related theories as my primary scholarly project — a project in which I am still immersed. This work involves the four interrelated modes of analysis — each of which provides a dimension of a sociogenic approach to human development, the life course, and aging. These are listed below, presented with examples of key ideas, related publications, and current research interests. Structural – Cumulative advantage/disadvantage. Inequality among age peers systematically increases with age. Research on cumulative advantage seeks to identify the extent to which this pattern is due to the stratification of opportunity structures throughout the life course, beginning in childhood. As I noted in the paper (1987) that introduced this concept to the fields of life course and gerontology , this concept suggests that age is something that happens relationally — between people, and not just organismically — within them (2003a,1988a, 1988b). My current interests are in the study of these processes in relation to globalization (see 2003b, and Baars/Dannefer/Phillipson/Walker 2004). Hermeneutic – Social Construction of Self and Aging. The hermeneutic mode refers to the central role of cultural knowledge in defining experience and in constituting personhood, which entails the internalization of cultural belief systems. Cultural belief systems typically include beliefs about aging, as manifested in socially accepted “age norms”. In late modern societies, such beliefs include the normalization of age segregation, which is a widely accepted but humanly destructive social practice. I am currently working on a book on age segregation with my colleagues Gunhild Hagestad and Peter Uhlenberg. Biosocial – Sociosomatics Through the Life Course. My mentor, Peter Berger coined the term “sociosomatics” to describe how the constitution of not only of personhood, but also of the body , is shaped by social processes. The impact of the social is not limited to the beginning of life, but continues over the life course. The application of these principles to the life course and aging are illustrated in my paper “Neoteny, Naturalization and Other Constituents of Development” (1999). This is a topic about which I am currently writing. Practical – Reform of Long-term Care. One kind of social environment that is unhealthy in human terms, and that also represents an extreme form of age segregation is the nursing home. By its very institutional form, deprive individuals of meaningful routines and relationships, producing social and existential death in anticipation of physical death. I have been privileged to participate in the growth of the Pioneer Network, a national social movement designed to transform “old age”, within and beyond the walls of long-term care facilities. My most recent empirical work has examined the change efforts of nursing homes that have engaged in “culture change” efforts — replacing the standard medicalized/institutional model with a more homelike, resident-centered approach. (See Dannefer & Stein, 2000; Click here to review a foundation report (Systematic Change Final Report) and a Powerpoint presentation (Systematic Change Slideshow) on this topic. Currently, I am pursing research on reducing barriers to age segregation. Dale Dannefer and Wenxuan Huang. “Precarity, Inequality and the Problem of Agency in the Study of the Life Course.” Innovations in Aging 1(3): November 2017. Robin Shura, Rebecca Ann Siders and Dale Dannefer (2011). “Culture Change in Long-term Care: Participatory Action Research and the Role of the Resident.” The Gerontologist 51: 212-225 (April). Dale Dannefer and Chris Phillipson (eds.). (2010). Sage Handbook of Social Gerontology. London: Sage. Jan Baars, Dale Dannefer, Chris Phillipson and Alan Walker (eds.). (2006). Aging, Globalization and Inequality: The New Critical Gerontology. Amityville, NY: Baywood Publishing. “Cumulative advantage/disadvantage and the life course: Cross-fertilizing age and social science theory.” 2003. Journal of Gerontology 58b:S327-S337. “Toward a global geography of the life course: Challenges of late modernity to the Life Course Perspective.” 2003. In J.T. Mortimer & M. Shanahan, Handbook of the Life Course. New York: Kluwer. “Whose life course is it anyway? ‘Linked lives’ in global perspective”. 2001. In Invitation to the Life Course. Edited by Richard Settersten.Amityville, NY: Baywood. “Paradox of opportunity: Work and age integration in the U.S. and Germany”. 2000.Gerontologist, 40: 282-286. “Paths of the life course: A typology”. 1999. Handbook of Theories of Aging. Edited by Vern Bengtson and K. Warner Schaie. New York: Springer. (With Peter Uhlenberg). “Neoteny, naturalization and other constituents of human development”. 1999. Self and Society of Aging Processes, edited by Carol Ryff, Victor Marshall. New York: Springer. “Freedom isn’t free: Power, alienation and the consequences of action”. 1999. Action & Development: Origins and Functions of Intentional Self Development. Edited by Jochen Brandtstadter & Richard M. Lerner. New York: Springer. “The concept of context in developmental discourse: Four meanings of context and their implications.” 1992. Life-Span Development and Behavior, Vol. 11. Edited by David L. Featherman, Richard H. Lerner, and Marion Perlmutter. “Aged heterogeneity: Fact of fiction? The fate of diversity in gerontological research.” 1992. The Gerontologist, 32:1 (February). (With E. Anne Nelson). “Differential aging and the stratified life course: Conceptual and methodological issues.” 1988. Chapter 1, Annual Review of Gerontology & Geriatrics, Vol. 8. Edited by Powell Lawton & George Maddox. New York: Springer Publishing. “Aging as Intracohort Differentiation: Accentuation, the Matthew Effect and the life course.” 1987.Sociological Forum 2:2, (Spring). “Adult development and social theory: A paradigmatic reappraisal.” (February) 1984. American Sociological Review 49:1.